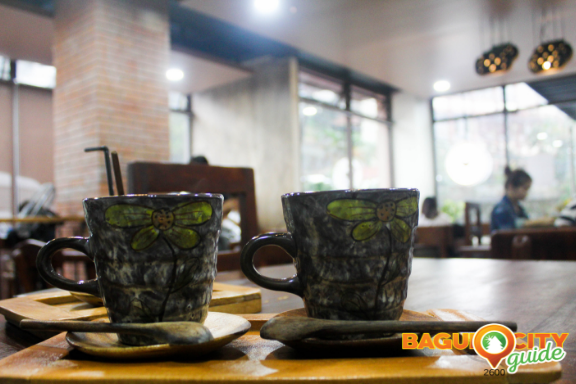 Cafes in Baguio City have always been top destinations of both tourists and locals because of the cold weather. And for whatever purpose we have – to just relax while drinking your favorite coffee, catch up with friends or conduct business meetings – most of us choose to go and spend our time in cafes. Online reviews help in our decision process making and with the numerous cafes sprouting in Baguio City, deciding on where to go is really a daunting task. Sometimes, we end up choosing the safest choice, a franchised coffee chain. Not that there is something wrong with that, but wouldn’t you want to take your taste buds on a gastronomic adventure once in a while? 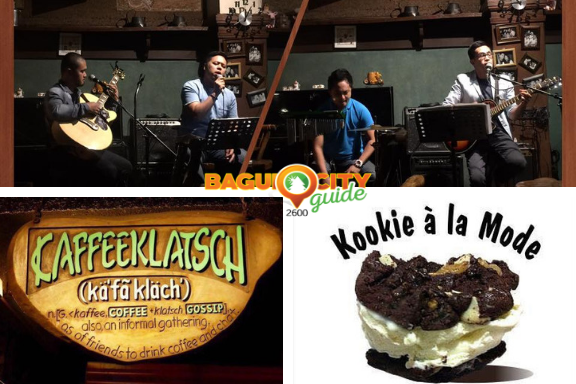 You will be surprised on how much local cafes in Baguio has to offer. So to make it easier for you who are looking for cafes in Baguio, we’ve come up with this list especially for you. Here are cafes that you can visit whenever you’re here for vacation or you just want to enjoy your favorite coffee on a very cold, foggy day in the City of Pines. This list is made up of those cafes which are given the most reviews and highest ratings on Google. Located along Arellano St. Ext. 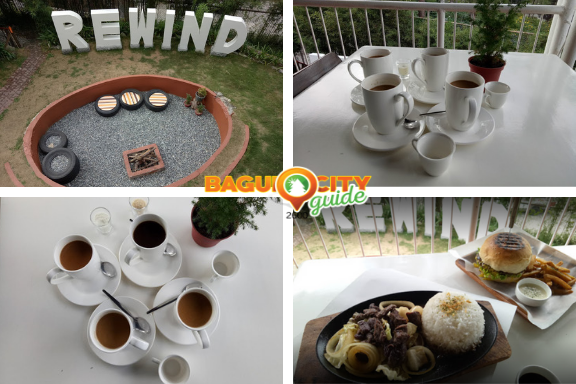 (Longboan Alley), Gibraltar Rd., Baguio City, Rewind Cafe welcomes its customers with a homey vibe that makes them enjoy the food and coffee even more. Aside from its cozy ambiance and good food, the cafe also showcases photos of old Baguio which makes it a good place to visit by those who wants to learn something about Baguio City’s past. If you’re looking for a cozy cafe with good music, Kaffeeklatsch is one of those most recommended through Google reviews. Most of their customers come back because of the awesome music experience at Kaffeeklatsch that gives more flavor to their coffee and food. The cafe, located along City Camp Road, got its name from the two German words kaffee (coffee) and klatsch (gossip) that means an informal gathering to converse over coffee. Read and Brew is a cafe in Baguio located at Porta Vaga Mall Parking Area. It is recommended for those who love to study or work while enjoying good food and of course, coffee. And if you are a huge fan of books, they have a variety to keep you company. They have shelves of books of different genre that you can choose from and read. And also, as stated by other reviewers on Google, the cafe actually offers blankets during the cold nights of December. This cafe, as the name implies, is artfully decorated with inspirational quotes and bible verses. Quoted Cafe is located along Bukaneg Street and it’s best for those searching for a place where they can enjoy their food or coffee and experience peace while being inspired by all the quotes that surround them. 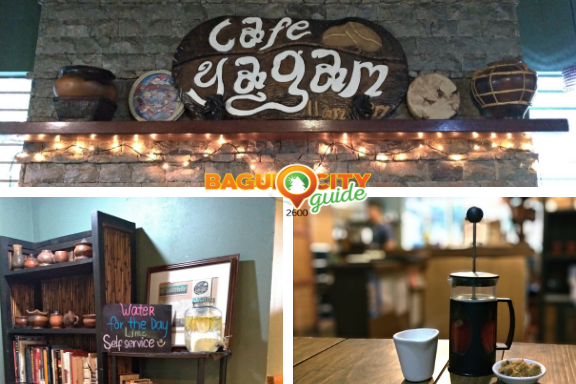 Aside from offering authentic Cordilleran dishes, it’s their organic coffee roasted on the site itself that makes Cafe Yagam special. And to add on that, this cafe is located within the Gibraltar area, particularly along J. Felipe Street, giving it a homey vibe that provides you the comfort of being far from the busy city center. As the name implies, Tsokolateria’s unique menu consists of items which are all infused with chocolate in one way or another. So if you are a chocolate lover, this is one of the cafes you must visit in Baguio. You’d also find quotes/statements about chocolate hanging on the place’s wall. This nice and open restaurant along the Igorot Stairs, together with the Pamana Chain of Restaurants. 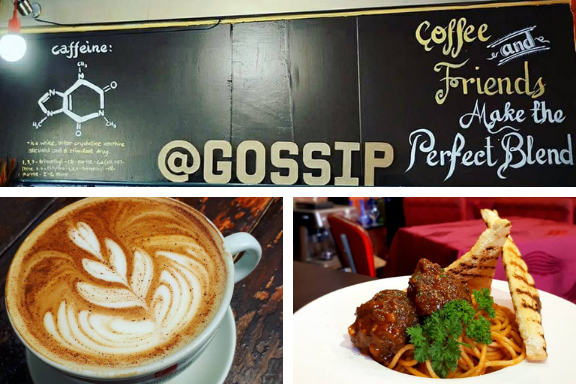 An old home turned into a cafe, Gossip Coffee Shop provides its customers a cozy atmosphere and the feeling of being closer to one’s home. Located along Upper General Luna Road, it is also perfect for those who want to have some time away from the hustle and bustle of the city. Coffee and Pine, located along Outlook Drive, is also one of the cafes in Baguio that offers at atmosphere perfect for those who wants to get away from the busy city once in a while. One will get to savor the cold weather and the view of pines trees surrounding the place. Although it is quite small, the place is aesthethically designed. Le Vain is one of the places in Baguio that is highly recommended by those who loves to pair premium bread with great coffee. They have a variety of bread and pastries you can choose from to match with the beverage of your choice. The ambiance is also perfect for those who just want to relax and it is accessible because it’s beside the road, specifically along Outlook Drive. 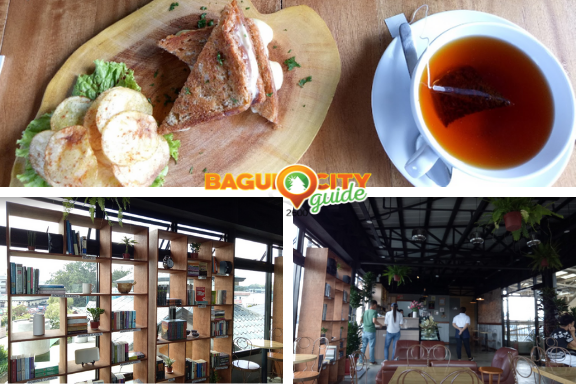 The Coffee Library is one of the best recommended cafes in Baguio by those who loves to try different kinds of coffee and tea because they offer a variety of those. However, the two most highlighted among the choices are their Vietnamese and Turkish Coffee. This cafe that offers a rustic vibe, with its interior being dominated by wood crafts, is located at Rex Hall, Upper Bonifacio Street. The coffee experience will matter the most. 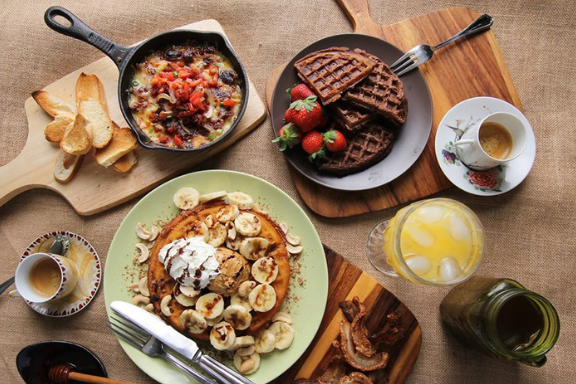 Now that you have an idea of the Top 10 cafes in Baguio based on Google reviews, it’s time for you to choose which cafe you’d consider as your home. But no matter what cafe you choose as your favorite, always remember that what’s more important is you savor the whole experience – your favorite cup of coffee, the people you’re with and the comfort you find in that cafe.